Oregon has 35 named glaciers and more than 450 permanent snowfields, according to the Glaciers of the American West website. Of the named glaciers, all but one are located in the Cascade range. By definition, a glacier is a slow moving body of ice that forms when the accumulation of snowfall exceeds the amount of snow melt in an area. One of the main distinguishing features that separate glaciers from permanent snowfields are crevasses, which form due to movement and resulting stresses that occur within the ice. Of course, skiing and riding are possible on glaciers throughout the year, but these residual snow and ice fields lend themselves to making summer and fall turns long after other areas have melted out. 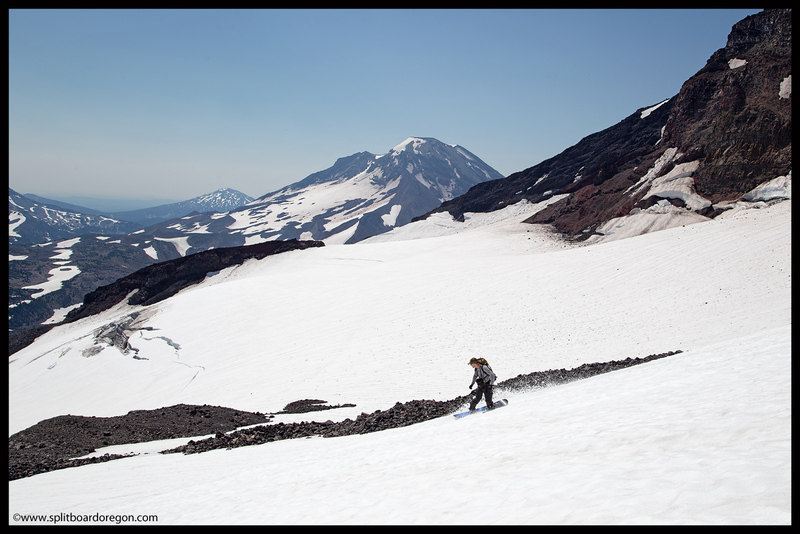 The below links contain information about Oregon’s glaciers, in some cases including photos that give both current and historical perspectives. Warning: Glacier travel is inherently dangerous and should only be attempted by those who possess the required knowledge, equipment, skills and abilities to do so safely. Please seek appropriate instruction before attempting glacial travel.